Lifestyles featuring little physical activity and lots of fast and processed food are fuelling weight issues and obesity, resulting in dramatic increases in cancer rates across Scotland and beyond, according to a recent report from the World Cancer Research Fund, a leading authority on the links between diet, weight, physical activity and cancer prevention and survival, and backed by the Scottish Cancer Prevention Network. Being a healthy weight and making physical activity part of everyday life are just as important as eating a diet rich in wholegrains, vegetables, fruit and beans. And at this time of year, when there’s lots of delicious, fresh produce around, it’s the ideal time to try these healthy summer salads. Here, three health information specialists share their recipes for super salads. While the quinoa simmers, add the broad beans to a saucepan of boiling water, and cook for two minutes (four minutes for frozen broad beans). Drain, refresh under cold water, drain again then pop the beans out of their thick, pale skins (optional). 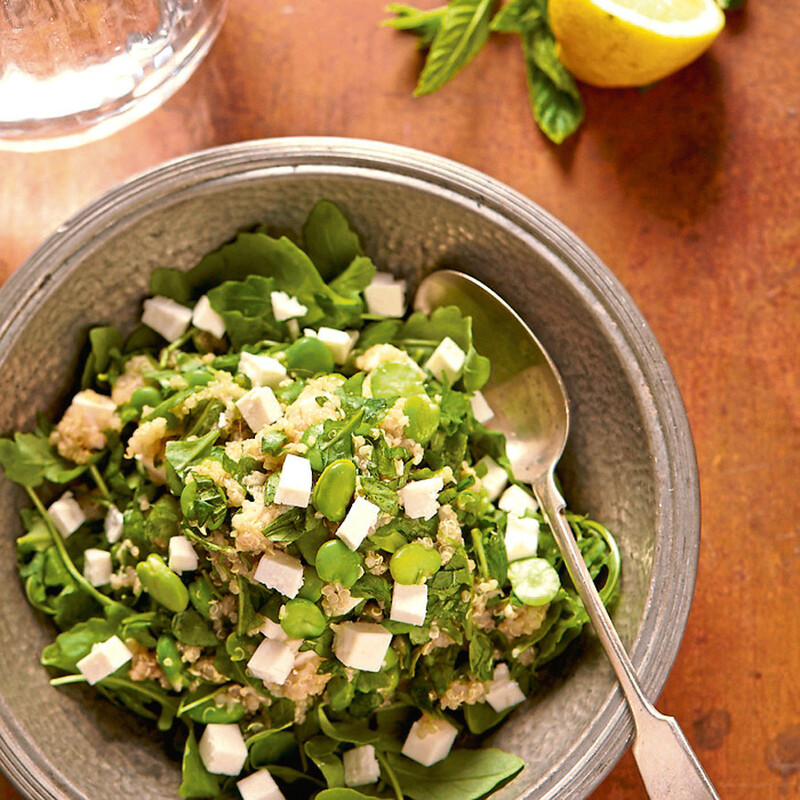 Instead of quinoa, try serving with wholegrain cous cous, bulgur wheat or pearl barley. Place cous cous in the boiling water in a saucepan, adding the olive oil, and allow to stand for five minutes without heating. Add butter and gently heat for five minutes, then allow to cool. In a separate pan, cook the green beans for five to six minutes, allow to cool, and then chop into 2cm pieces. 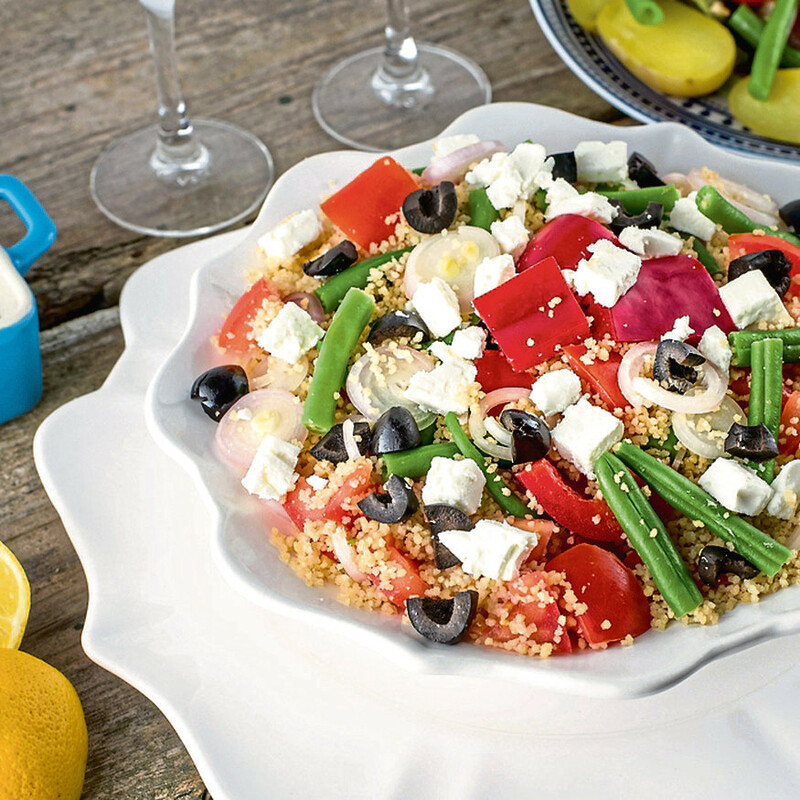 Add the green beans, sliced peppers, shallots, tomatoes and black olives to the cous cous. Crumble the feta cheese into the dish. Pour the lemon juice on top, mix all together and serve. Arrange the lettuce leaves on serving plates to look like petals. Place the rice and chicken in a mixing bowl with the remaining ingredients and stir gently together. Make the vinaigrette by mixing the ingredients together. 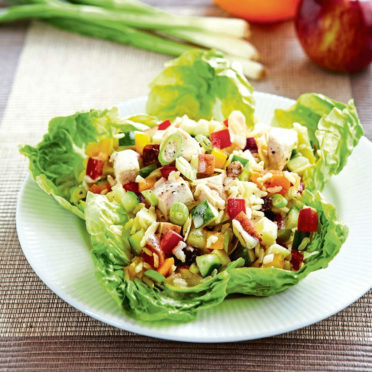 Dress the salad with the vinaigrette and toss lightly. Spoon the salad on to the prepared serving plates on top of the lettuce leaves.